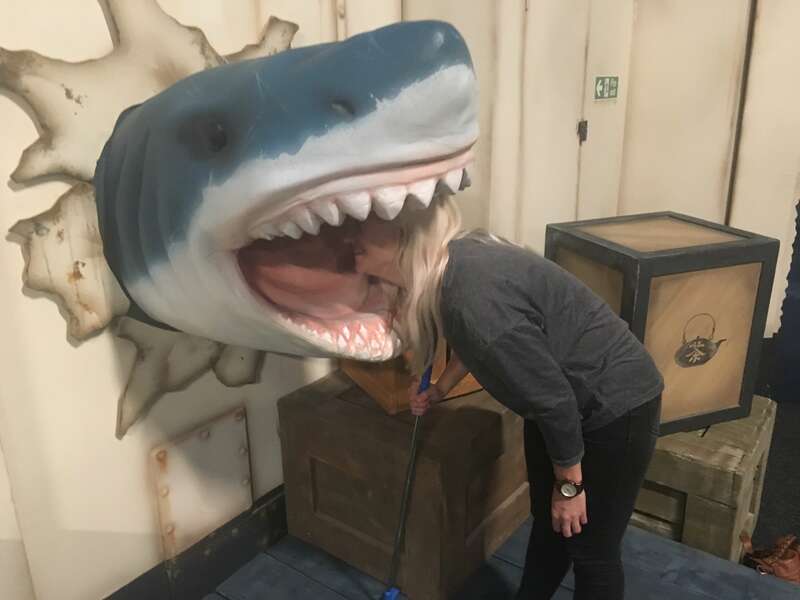 A couple of weeks ago we were lucky enough to get to try out the brand new Paradise Island Adventure Golf course at the Intu centre in Derby. 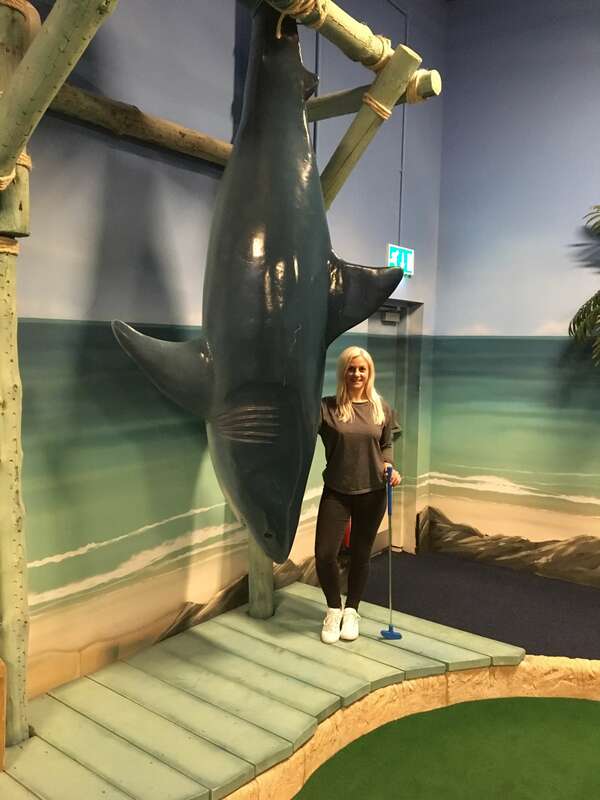 For someone who is really bad at pretty much every sport, I was really excited, as mini golf is actually my game – hard to believe I know – so I challenged my boy to come with me and see whether we could complete the course under par or even get a hole in one! 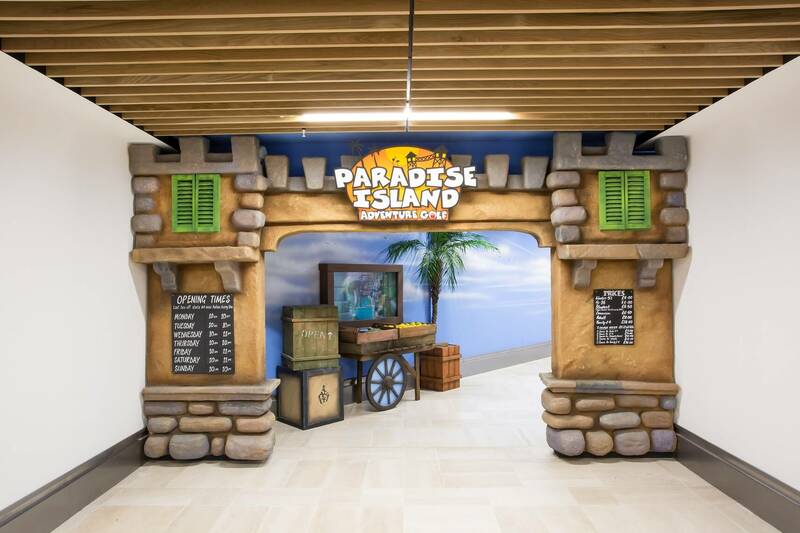 Paradise Island Adventure Golf Derby is the sixth location from the company who also have sites in Manchester, Sheffield, Cheshire, Glasgow and Livingston. There are two courses with 18 holes on each – Shark Bay and Mermaid Rock. I absolutely adored the theme of the course and the fixtures are really impressive. There’s a windmill, hanging sharks and tribal huts. Oh, and did I mention a giant octopus? Both courses culminate in the hole in one challenge where you can win a free game. We had a great time, but we did feel that the course was a little easy – we managed to pretty much do every hole on par or under and we definitely thought there should be more frustrating holes. You know, the ones where you’ve taken about 10 shots and you’re ready to throw your golf club on the floor? Also, for somewhere called Paradise Island there was a distinct lack of water features – although I’m not sure of the practicalities of this with the course being inside! 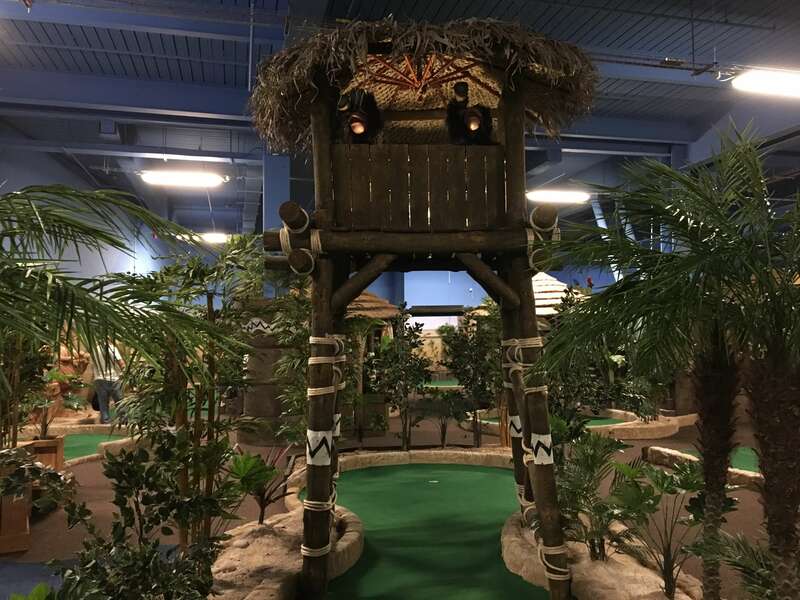 Paradise Island Adventure Golf Derby is a perfect rainy day activity and the fact that it’s open until 10pm at night times gives you a nice alternative to the usual dinner and drinks date after work. With it being situated in the shopping centre, there’s plenty of easy parking too. This new attraction is perfect if you’re coming shopping with the family, especially if you’ve got children (or, indeed an impatient man!). 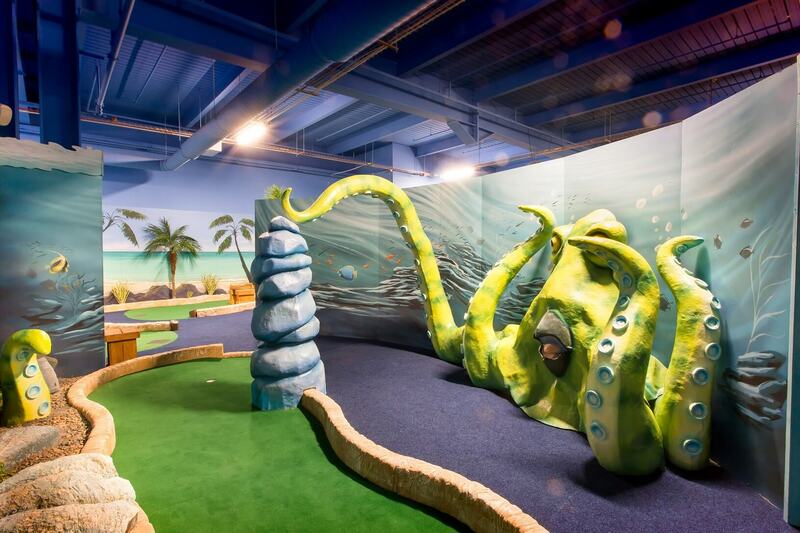 You can bribe them with the promise of a round of mini golf if they leave you in peace to look around the shops OR you can continue your day out shopping into the evening with adventure golf followed by dinner at one of the Intu centre’s many eateries. It’s definitely great putting practice too – if you’re into real golf. You might have noticed that I haven’t yet mentioned who won…well, let’s just say it wasn’t me! All in all – great fun for everyone! Find out more about Paradise Island Adventure Golf here.